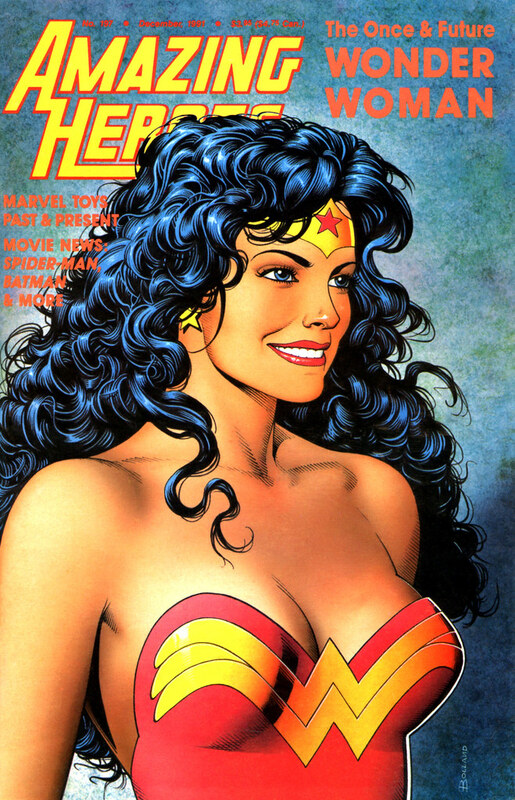 Following up yesterday’s Flash covers by Bolland with this classic portrait of Wonder Woman, which was originally featured on Amazing Heroes #197 from 1991. Long ago, government man Steve Trevor crashed onto Wonder Woman’s island and brought her back to New York, but now they’ve split up. She still loves him, though, and it’s obvious that their relationship is going to be a focus. Very troubling. Wonder Woman should be about independence and self-reliance, not pining away after Steve Trevor, who hasn’t been featured at all in the comics for over a decade. Nuff Said!